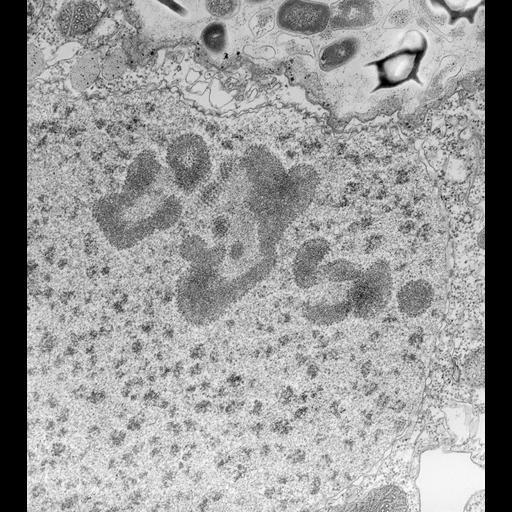 Nucleoli in a macronucleus of a cell undergoing micronuclear division. The nucleolus appears to have an organized surface layer composed of parallel threads of subunits. These may be developing ribosomal subunits that will soon be transported to the cytoplasm through the nuclear pores. TEM taken on 3/30/73 by R. Allen with Hitachi HU11A operating at 75kV. Neg. 15,759X.